Ulster PRO John Connolly was MC for the evening and thanked all our referees for their time, commitment and involvement in the delivery of our games programme. Without referees, there are simply no games. All of our referees make themselves available and some at very short notice. Ulster Referees Chairman Patsy Mullan made special reference to those who were involved in Overseas Finals in 2015. He commented that the standard of our refereeing this year was extremely good and thanked all the referees for their input and availability over the past 12 months. 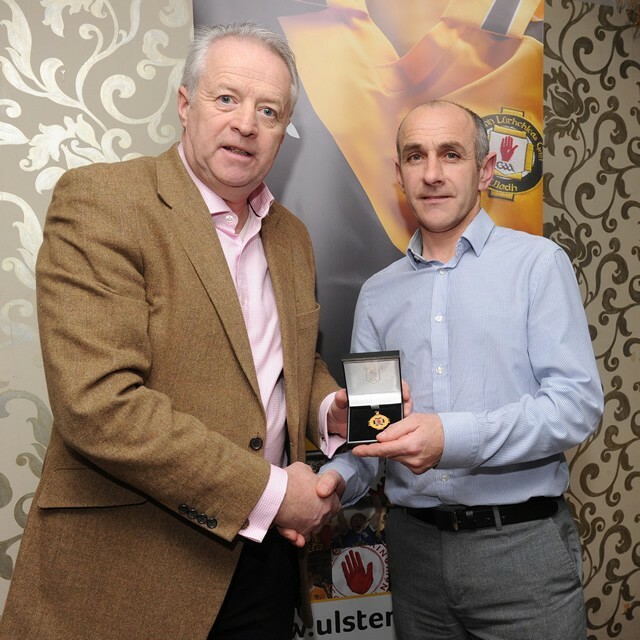 He congratulated the 13 graduates from the Referees Academy and welcomed them onto the Ulster panel. Ulster GAA Uachtarán Martin McAviney echoed these comments. He added that Ulster GAA have invested heavily in the development of our referees; radio equipment, health checks and regular advice illustrates this point. 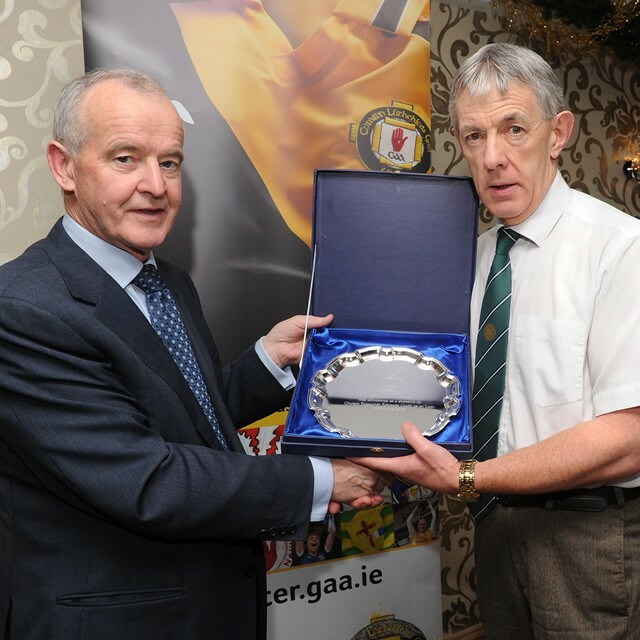 He thanked all referees for undertaking the various roles during the year. 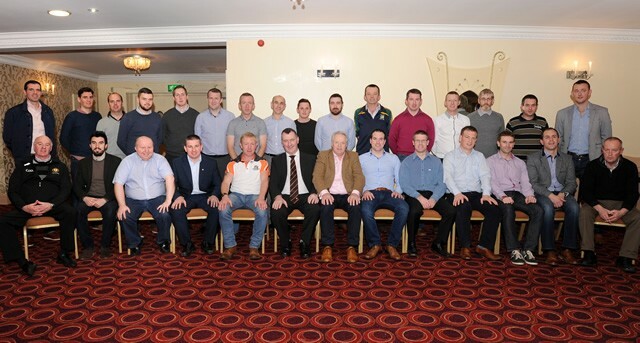 It is an opportunity on behalf of Ulster GAA to say thank you to all of our referees for their continued support. 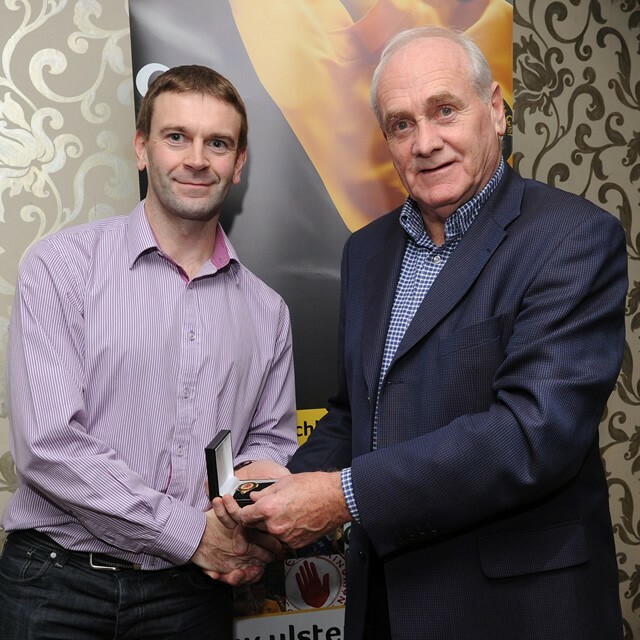 Ulster GAA Officers Martin McAviney (Uachtarán), Michael Hasson (Leas Uachtarán) and Oliver Galligan (Cisteoir) presented the various awards to those referees who took charge of Ulster Finals in 2015.